The Food Safety Information Council today released worrying national survey data that shows 60% of home cooks in Australia are putting themselves at additional risk of food poisoning by washing whole poultry before it is cooked which spreads bacteria around the kitchen. A further 16% of those surveyed incorrectly tasted chicken to see if it is cooked properly rather than use a safe and accurate meat thermometer. Food Safety Information Council Chairman, Dr Michael Eyles, says 6 in 10 home cooks in a national Newspoll survey washed whole chicken before they cooked it, with 5 in 10 washing chicken pieces with skin on and 4 in 10 washing skinless chicken pieces. “Chicken is a healthy, convenient meal and is Australia’s most popular meat with over 8 out of every 10 cooks choosing chicken. Other poultry is also becoming popular with just under half of those surveyed cooking whole turkey and 37% whole duck but these, too, are being washed before cooking, with 68% washing turkey and 74% duck,” Dr Eyles says. “According to a Food Standards Australia New Zealand survey 84% of raw chicken carcasses tested positive to the food poisoning bacteria Campylobacter and 22% to Salmonella. This is similar to the findings of other surveys overseas. Notified cases of illness from Campylobacter and Salmonella in Australia have almost doubled over the last 20 years. 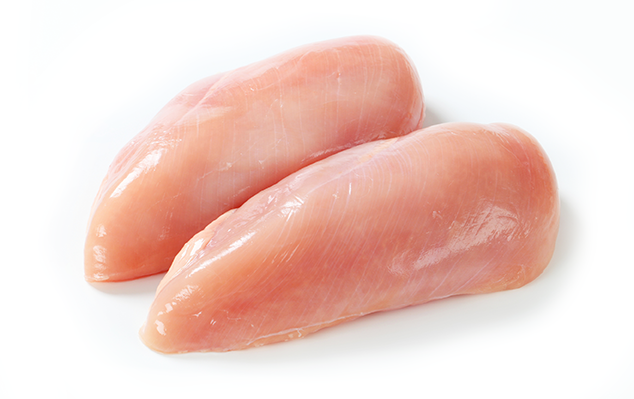 OzFoodnet estimates there are approximately 220,000 cases of Campylobacter infection each year with more than 75% transmitted by food and 50,000 cases of Campylobacter infection each year can be attributed either directly or indirectly to chicken meat. ”Home cooks are probably following what their parents or grandparents did in the past by washing poultry, not to mention probably patting it dry with a tea towel. Washing poultry splashes these bacteria around the kitchen cross contaminating sinks, taps, your hands, utensils, chopping boards and foods that aren’t going to be cooked like salads or desserts. “Cooking poultry right through kills these bacteria, making it safe. However, 16% of those surveyed, rather than using a meat thermometer or checking if juices run clear and are no longer pink, say they eat some chicken to see if tastes cooked, with males significantly more likely to do this than females,’ Dr Eyles concludes. Also cook any poultry meat to 74°C using a meat thermometer in the thickest part or until the juices run clear and are no longer pink. Make sure frozen poultry is defrosted right through to the centre before cooking. When shopping, ensure raw meat, poultry, and seafood are in plastic bags and kept apart from other foods in your super market trolley, at check out and in your shopping bags. Place raw meat, poultry, and seafood in containers or sealed plastic bags in the fridge to prevent their juices from dripping onto other foods. Raw juices often contain harmful bacteria. Wash and dry hands and surfaces often. Harmful bacteria can spread throughout the kitchen and get onto cutting boards, utensils, and counter tops. Wash hands with soap and hot water and dry thoroughly before and after handling food, and after using the bathroom, changing babies, or handling pets. Wash cutting boards, dishes, and counter tops with hot, soapy water and dry thoroughly after preparing each food item and before you go on to the next item. Always use a clean and dry cutting board and, if possible, use one cutting board for fresh produce and a separate one for raw meat, poultry, and seafood. Once cutting boards become excessively worn or develop hard-to-clean grooves, you should replace them. Marinade used on raw meat, poultry, or seafood should not be used on cooked foods, unless it is boiled just before using. Rinse fresh fruits and vegetables in running tap water to remove visible dirt and grime. Because bacteria can grow well on the cut surface of fruit or vegetables, be careful not to contaminate these foods while slicing them up on the cutting board. Food poisoning results, on average, in 5.4 million cases a year including 120 deaths, 1.2 million visits to doctors, 300,000 prescriptions for antibiotics, and 2.1 million days of lost work each year. The estimated annual cost of food poisoning in Australia is $1.25 billion.